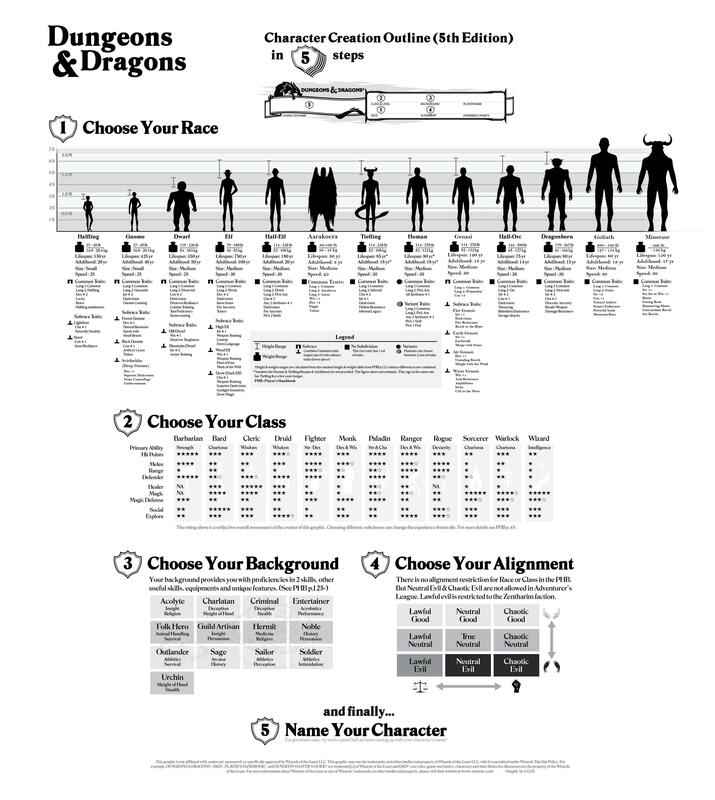 A great help for the newbies who want to create their character in 5 simple steps. This is the update version (Denmen707 graphic by A.G.H.) with Minotaur, Genasi, Aarakocra and Goliath. Just click on image and create your hero! Doesn’t seem to be clickable. Why include Minotaurs, which are play-test material within the limited scope of the Dragonlance setting? Why exclude all the Volo’s Races, which are official and works in most settings, but particularly in the primary setting of the Forgotten Realms? Still a lot of races missing. Hi there, I’d love to translate it into spanish, but I’m really awful at Photoshop. Does anybody have a template I can edit?